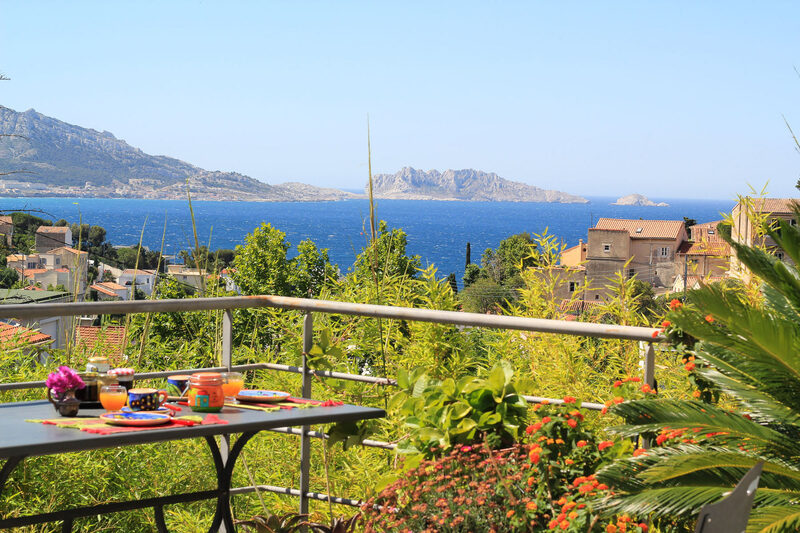 Welcome to the website Habitation Bougainville, charming bed and beakfast at Marseille, labeled as "Hôtes Qualité Marseille Provence" : Swimming-pool, panoramic view over the sea for breakfast, sea-view from the swimming pool. 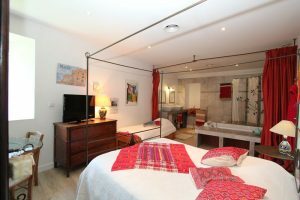 We offer you 2 charming bedrooms. The whole capacity is 7 persons and parking inside a secure private garage, for the room Bougainville only. 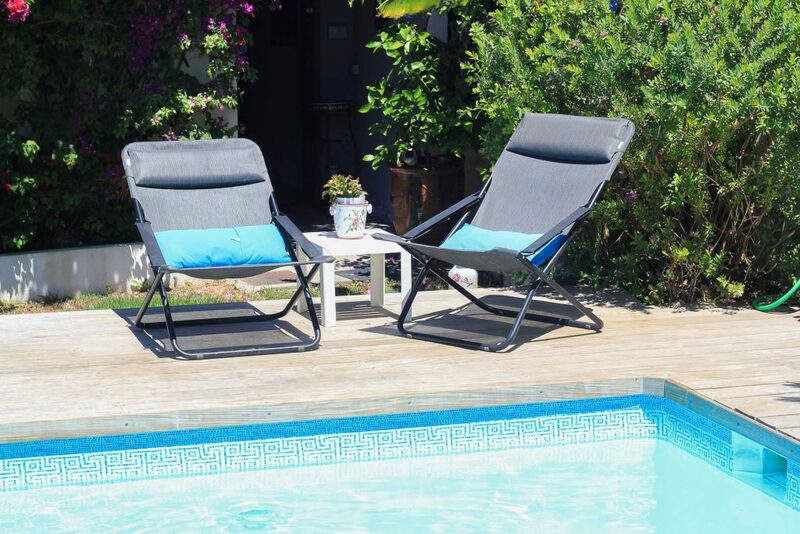 Located in the heart of Marseille on the highs and at a few minutes from the sea, close to the old port, it dominates the bay of Marseille in the picturesque neighborhood of the Roucas Blanc. This bed and beakfast is calm and peaceful. You will have your breakfast on a large terrace with an incredible view over the sea. 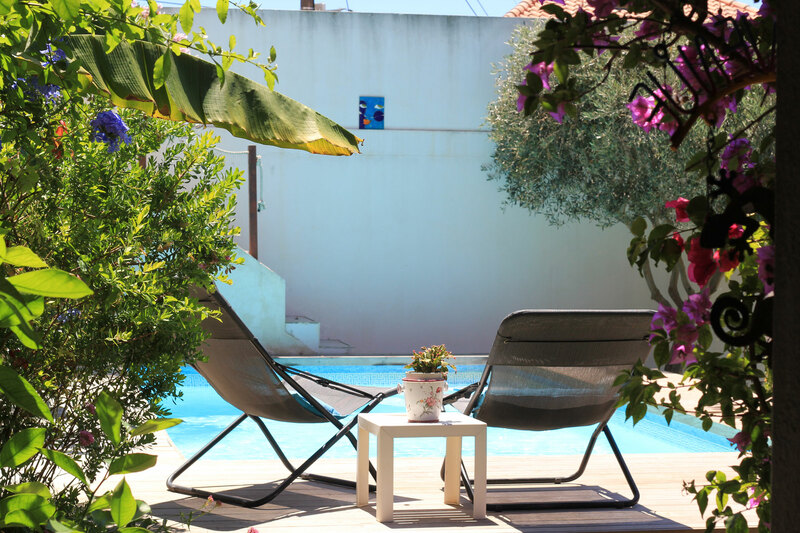 You will enjoy the swimming-pool in summer (heated low season only), the garden and the solarium. A small supermarket is located 100 meters walking from the house. 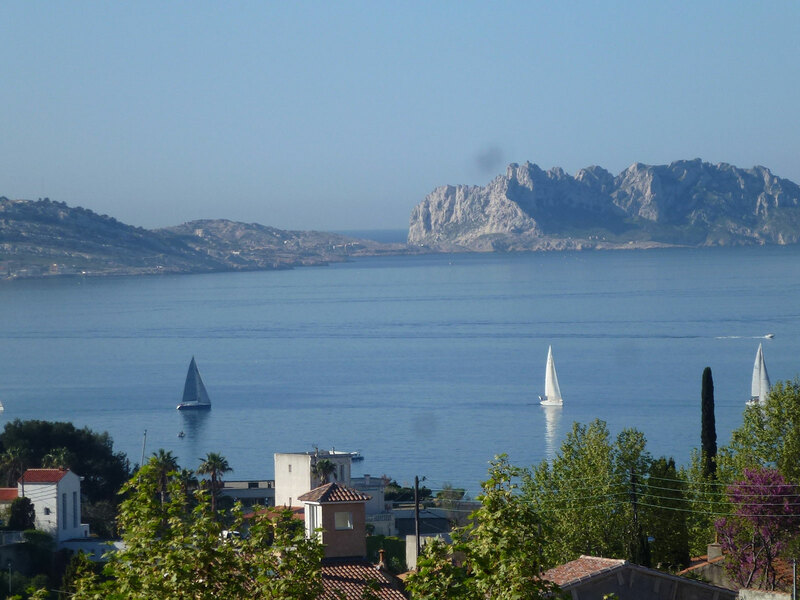 Very close from the Old Harbour, in front of the sea and of the massif of the Calanques (the coves of Marseille). It is convenient for the guests in holidays or in business. The buses to go downtown are located at 3 min walking. Our B&B is located between the old port (center of town) (5mn by feet and 15 in car), the Park Chanot and the congress palace, the velodrome football stadium (10 min by car), the Church Notre Dame de la Garde (5 min) and the Palace of the Pharo (5 min). 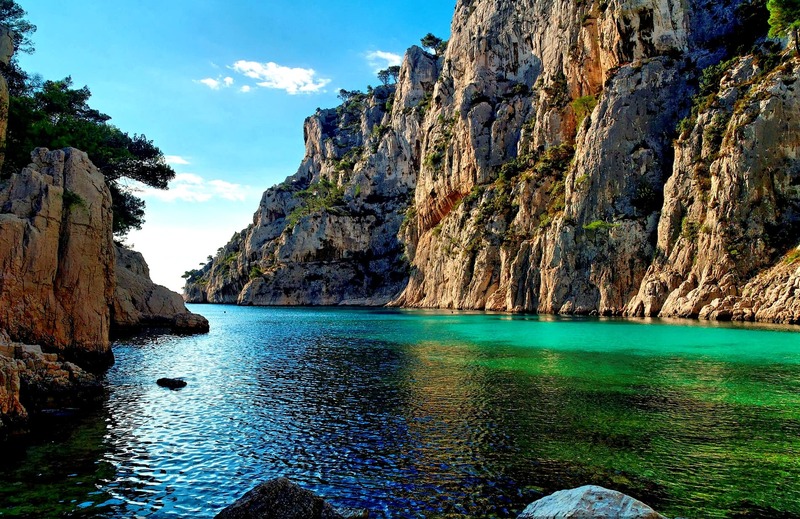 You may end your touring by visiting the region of Provence. In 2013, Marseille has been European Capital of Culture. We are available to give you our advice for places to visit , cultural activities, good tips and good restaurants. Ideally located on the heights of the Roucas Blanc. 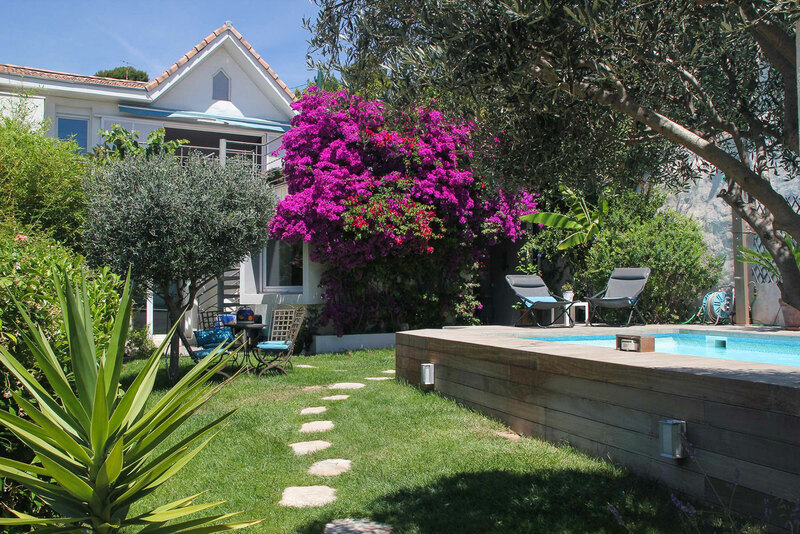 Discover the villa 3 minutes from the beaches and 5 minutes from the Old Port. 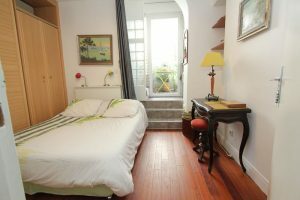 Composed of 2 charming rooms. 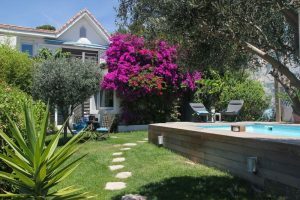 B & B of 30 m² with a beautiful view of the garden and the Mediterranean Sea. Discover a room full of enchantment. 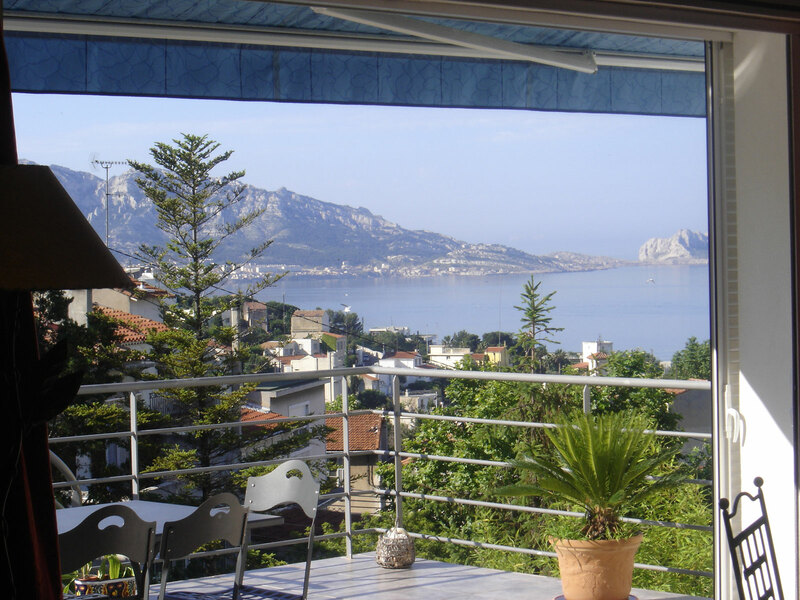 B & B in a villa facing the sea, with the charm of the Marseille coast breezes. Discover a place littered with tradition where you will revitalize.